Cut the fish into finger shaped pieces. Marinate the fish fingers with pepper powder, lemon juice and salt. Keep these in refrigerator for about 15 minutes. Now make a paste of flour and beaten egg. 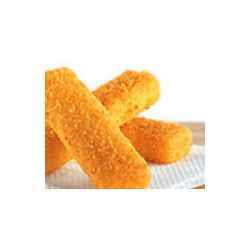 Dip and coat each fish finger in this mixture and roll it in the bread crumbs. Dip them in beaten egg and roll with the breadcrumbs properly. Heat oil in a pan. Deep-fry the pieces till they turn golden brown. Serve it with tartar sauce or tomato sauce.